New releases at METS from Yanmar, VETUS, Dometic and Zhik. Engine manufacturer Yanmar announced it is introducing a range of sterndrive diesel engines to complement the 4LV inboard engine range introduced earlier this year. The new sterndrive engines feature electronically-managed common rail fuel injection systems, Thermo Swing Wall Insulation technology to provide maximum thermal efficiency, and are fitted with the Yanmar ZT370 sterndrive with a hydraulic multi-disc clutch for smooth, quiet gear engagement. The 150 to 250mhp five-engine range is based on an identical engine block with the same dimensions and weight, making it easier for boat builders to install various options. The ZT370 sterndrive is available in various gear ratios and has a standard EXO hard-anodisation coating to provide protection against corrosion. “We are delighted to announce the availability of the full Yanmar 4LV series range with ZT370 sterndrive,” said Floris Lettinga, Yanmar director sales and marketing. 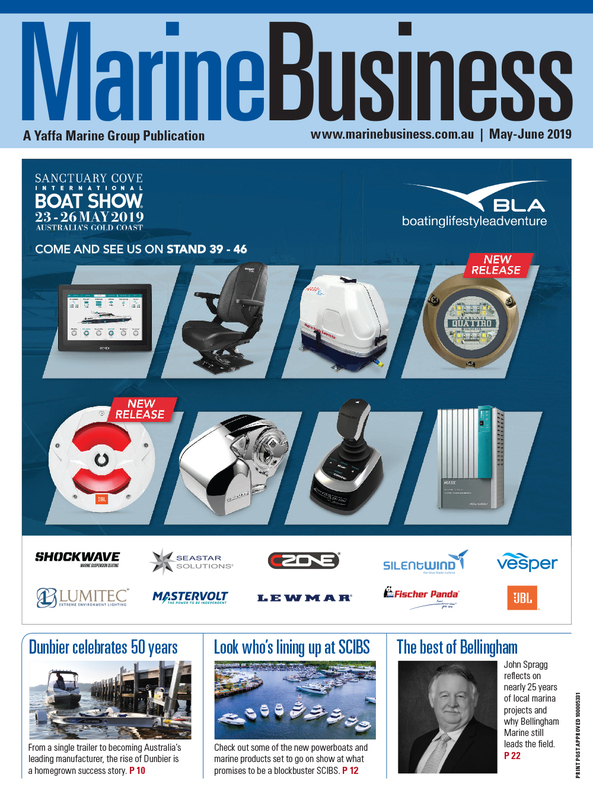 “The new models include a wide range of available engine options to support specific customer requirements, making this market-leading range of lively, responsive, and reliable engines available to an even larger number of boat users. VETUS used the METSTRADE show to launch a more powerful version of its award-winning BOW Pro thruster. The new six model BOW PRO Boosted 57-130 series features an internal charger that enables the thruster to boost output to up to double the voltage. This makes it suitable for use on boats up to 80ft long. When the thruster is not in use, the built-in charger automatically recharges the battery, doubling its value as both a thruster and charger. 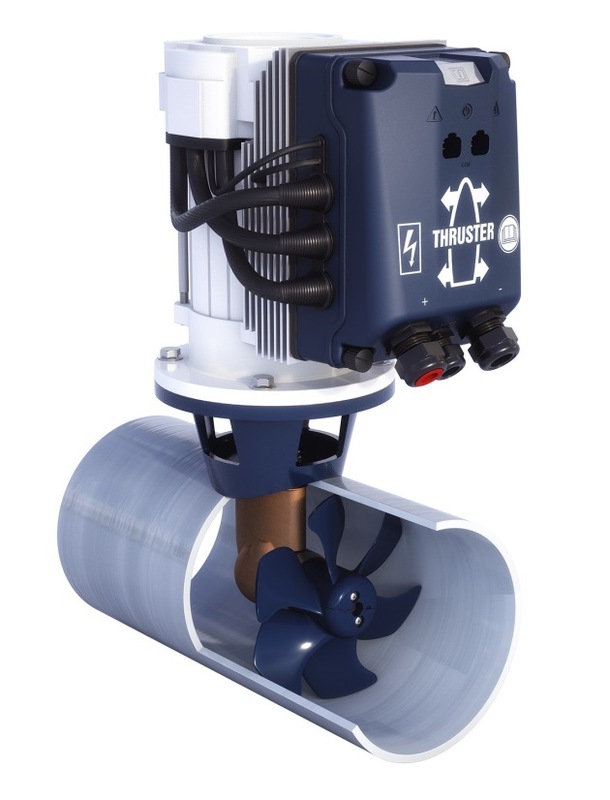 As with the previous models, the thruster employs maintenance-free induction motors without carbon brushes, a technology breakthrough that ensures the BOW Pro Boosted thrusters are very quiet with a runtime only limited by the size of the battery pack installed. With almost no loss of power, active heat control and power consumption are also very low. “With the line-up set to be further expanded during 2019, the six new BOW Pro Boosted thrusters are the evolution of the original BOW Pro,” said Pieter Feenstra, senior sales manager, VETUS. 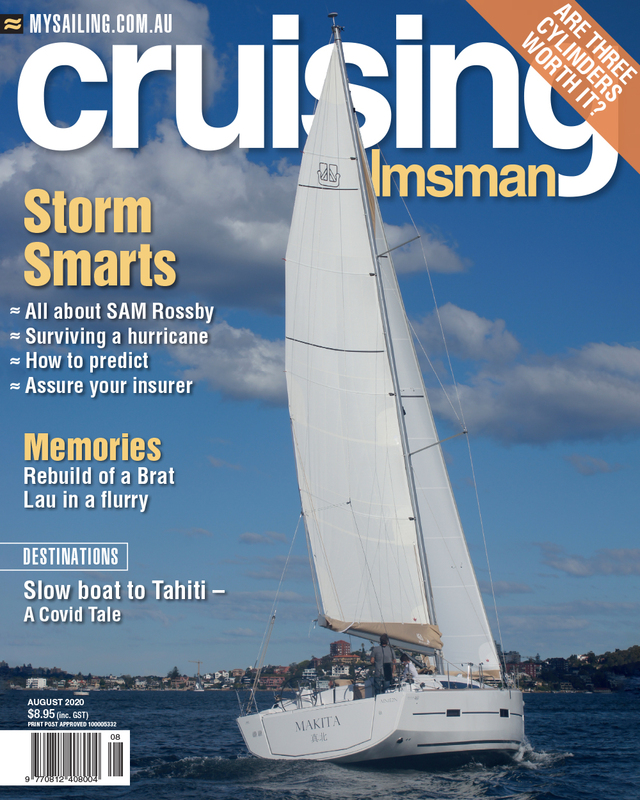 “By combining features like the unlimited runtime, full-proportional control, built-in charger and no maintenance on the brushless motor, the thrusters are the ideal solution for almost every boat, particularly charter vessels, offering significant advantages when compared with other thrusters." Dometic announced it is introducing a retractable galley that can function both inside and outside of the cabin. The Slide-Out Kitchen features a three-burner cooktop, sink, benchtop, storage compartments and accessories that can slide-out to the exterior deck for al-fresco dining. Originally designed for 4X4s on the road, the kitchenette is compact in design but durable and corrosion resistant. Inside the cabin, it functions as a space-saving galley but it can then be slid outside for use on deck as an open-air galley. Using a single unit for indoor and outdoor purposes eliminates the need for multiple equipment requirements and extra installation work for designers and boat builders – as well as less maintenance for boat owners. Drawing on its partnership with team AkzoNobel and the Dongfeng Race Team, overall winners of the recent Volvo Ocean Race, Australian apparel manufacturer Zhik unveiled its new ZK Seaboot 900. 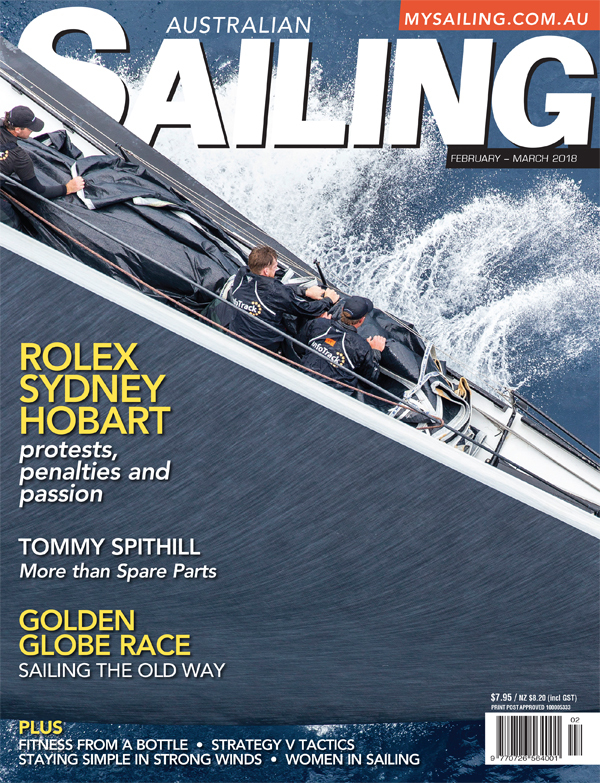 The new boot is designed for serious, long distance offshore racers and professional sailors who wear their boots day in day out. Following extensive hours of testing on constantly moving and steeply heeling Volvo 65 decks, the arch, heel and ankle areas of the new boot have been reinforced internally and externally to keep the foot secure. The boots also give lateral support to reduce the risk of ankle injury from twists, turns or knocks whilst working the deck, without hindering up and downward movements, ankle flexion and extension. 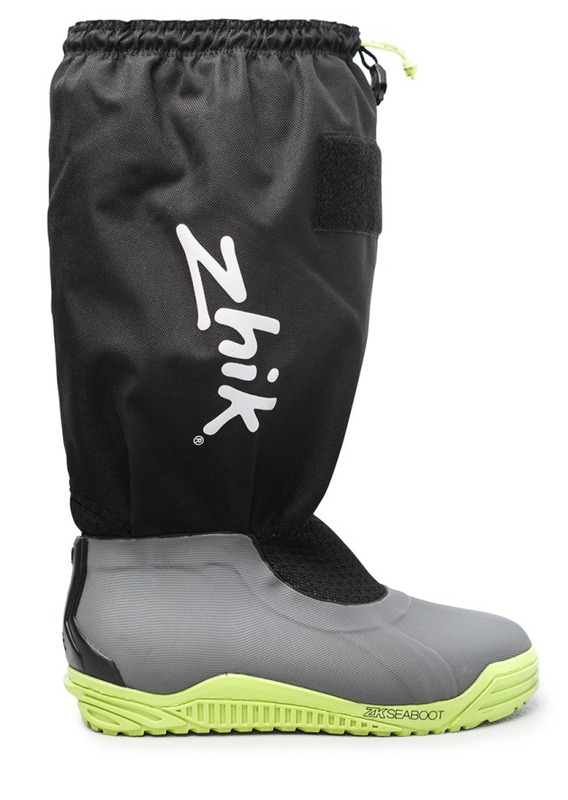 The ZK Seaboot 900 is made with a combination of highly durable rubber and a neoprene upper for warmth and longevity. All individually tested during production, the boots are 100% waterproof and sealed, with an integrated external gaiter to prevent water ingress in extreme conditions. 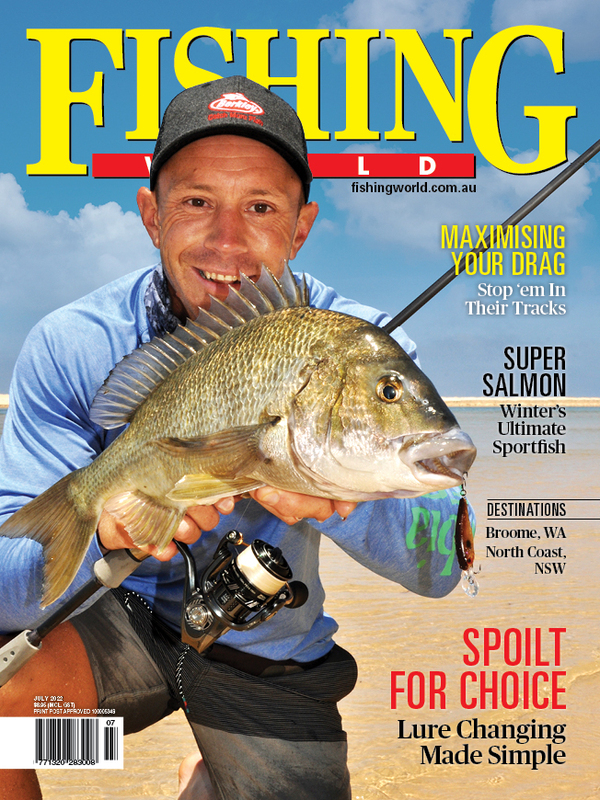 RRP: $429.95, available to retailers in March 2019.